Kodak Packaging summit was a deep immersion into the packaging sector and its needs: flexibility, costs pressure, short runs, accelerated time-to-market, customized packaging, high impact packs and increase of SKUs, to face them Kodak announced the Creative Freedom campaign. The introduction of the new inkjet heads and this campaign are the answer to the question posed after the selling of FPD division: what would be the destiny of packaging at Kodak? It will be absolutely a target market, almost an extension of EISD line of products, and besides at global level there is a lot of space to grow, because only a very little portion of packaging is digitally printed, so Kodak wants to promote the huge benefits of creative freedom that printers and converters can achieve only if they print packaging with digital technologies. 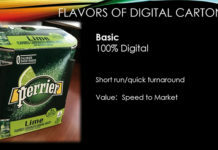 “The campaign is designed to educate and promote the use of digital printing in packaging applications. Printers and converters need flexibility and efficient production for shorter runs with economic and in-line and nearline technology implementation. Brands and creative agencies need ‘Greener products’, creative flexibility, and the ability to quickly drive ideas to market with design freedom. Kodak’s portfolio provides a combination of strong economics and design flexibility using the widest variety of substrates, without creative compromise and creating a sort of full digital eco-system by developing and manufacturing our own inks, digital front ends and controllers in addition to the inkjet hardware; we can therefore optimize the performance of the press and the print quality resulting from ink and substrate interactions with our Continuous Inkjet (CIJ) Technology”, said Patti Smith, VP Business Development & Marketing, EISD. 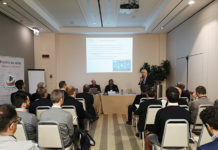 Dan Denofsky, Director, Worldwide OEM Partnerships, Enterprise Inkjet Systems Division, spoke more precisely about it. Kodak Stream Inkjet Technology is a continuous inkjet (CIJ) constant-flow method for high-speed digital printing. It combines over 40 years (and 700+ patents) of R&D innovation with recent breakthroughs in nanotechnology-based inks and ultra-tiny and precise silicon-based print heads. The inkjet nozzles are barely one-tenth the thickness of a human hair. By applying a regular pulse to heaters surrounding each nozzle orifice the ink is stimulated into breaking into fine droplets. 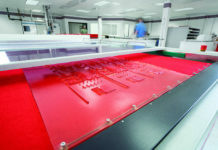 Ink drops not required are deflected away from the substrate and re-circulated to the ink supply. Drop size is regulated by the time between heat pulses, thereby creating a variable drop size. The heads are always clean and for this reason printing can take place quickly, because the ink flows continuously, unlike other inkjet technologies where the nozzle opens, closes and re-opens. 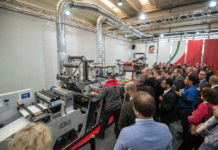 Dan recalled also Kodak Ultrastream, presented at Drupa 2016, which represents the fourth generation of systems based on Stream technology and is aimed at commercial and packaging printing. 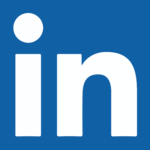 This technology delivers a resolution of 600×1800 dpi with production speeds of up to 150 m/min. The main difference in comparison with the previous technology is that Stream technology uses an air stream to deflect the unused drops, Ultrastream uses a charge electrode to create charged and uncharged droplets. The charged droplets are deflected and recirculated, the uncharged drops are deposited on the substrate and print. Kodak announced at the Summit the introduction of the new Kodak Prosper Plus Imprinting Solutions for the packaging industry. 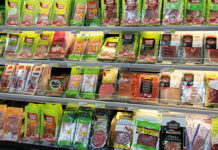 These solutions include four new imprinting components as well as food safe packaging inks and pre-coatings for folding cartons, food wraps, paper cups & plates, and ream wraps. The new Prosper Plus models will expand the capabilities for printers to leverage continuous inkjet as a complimentary capability to the Kodak Prosper 6000S Simplex Press and the Uteco Sapphire EVO (Flexible Substrates) Web Fed Solution. The Prosper Plus Imprinting Solution is based on Kodak Prosper S-Series Imprinting Systems, which is designed for packaging and product decoration applications. 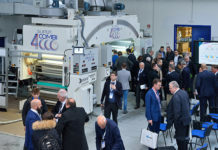 The four hardware products will include 2 narrow formats and 2 wider format models which will either print at speeds up to 260 mpm or 600 mpm maximum. 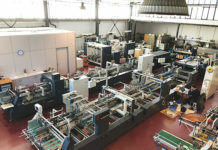 These components are capable of being mounted in-line with offset, flexo, or gravure presses, from Uteco or other equipment providers, or could be implemented in finishing lines such as folding/gluing systems providing the flexibility for digital to be incorporated throughout various existing printing operations. Prosper Plus models feature new print modes with smaller drop size and higher resolution for faster drying and better quality. A collaboration with other companies (Jindal Films, Actega, Dow Chemical, Sun Chemical and Michelman) is the origin of Kodak’s water-based inks that have passed US and European certifications for food safety, direct skin contact, and food service products. First demonstrated at drupa 2016 alongside an expanded Gamut ink set, Kodak’s Digital Varnish for packaging applications offers a unique combination of gloss and durability enhancement on folding cartons and related applications. This odorless, water-based Digital Varnish is formulated for indirect food contact compliance and is free of VOCs, mineral oils, and any unreacted UV-curable components. Water-based inkjet inks are the lowest cost, most versatile, and most environmentally friendly option for production inkjet printing, but instant colorant immobilization and ink fluid management are critical: the optimizer agents immobilize and bind the colorants within microseconds, enabling wet-on-wet printing up to 300 m/min; active drying systems are also required to remove the water within seconds at production printing speeds and residual ink humectants also need to be removed (evaporated) and/or managed (absorbed) to maximize ink cohesion and adhesion. 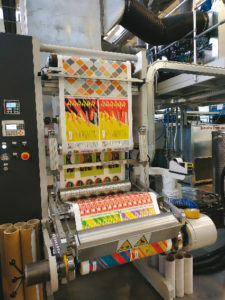 Kodak is going to present in 2019 Prosper QD Packaging Inks, Indirect food contact compliant, with faster drying and improved durability and lamination bond strength on flexible films. Also new optimizer agents will be introduced: Standard Packaging Optimizer Agent (SPOA) for uncoated corrugated and folding carton applications; Enhanced Packaging Optimizer Agent (EPOA) for coated corrugated and folding carton applications; Film Optimizer Agent (FOA) for impermeable substrates, such as plastic films, metallized surfaces, glass and pre-printed flexo or gravure packages. All these technologies combined result in the Uteco Sapphire EVO press using Kodak Stream Inkjet Technology, that we saw running at Converdrome at Uteco. 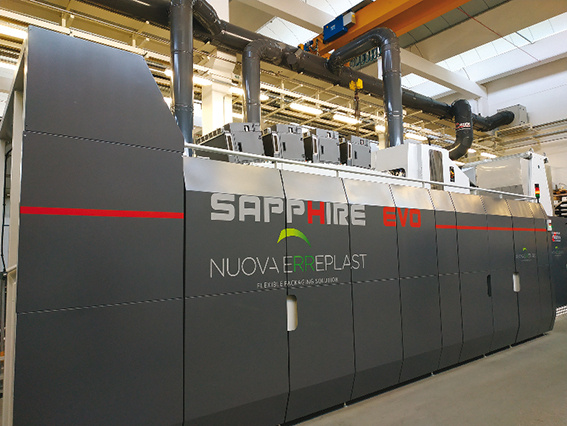 The machine will be installed at Nuova Erreplast in Marcianise, in the south of Italy, the new site of the company, specialized in flexible packaging production. The Sapphire EVO provides brands and converters the ability to produce short, medium or long run digital flexible packaging. 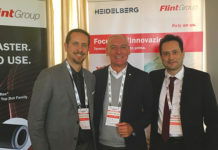 Domenico Racciopoli, managing director of Nuova Erreplast, said that “the real reason of our digital choice was not the intention to replace flexo printing, but the possibility to integrate it to print short runs, to personalize packaging and to test new pack before making longer runs with flexo; it’s important to underline also that the machine was customized, placing the different units where it was more suitable for our needs”. 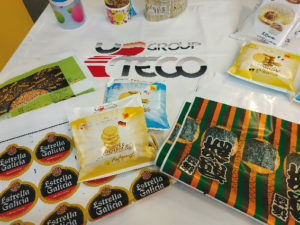 Aldo Peretti, CEO of Uteco Group, said that this hybrid digital web press shows the value of digital printing with water-based inks on flexible substrates for a wide variety of applications including food packaging and personal care items thanks to a very profitable sharing of Uteco and Kodak knowledge. The Sapphire can print over 9,000 linear meters per hour. 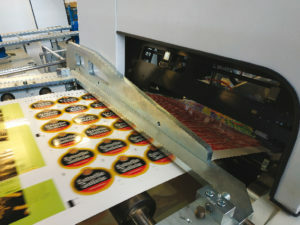 Utilizing Kodak Stream Inkjet Technology, it delivers excellent print quality on a variety of packaging films and papers. The Sapphire EVO uses media up to 650 mm in width and prints at up to 622mm and offers CMYK printing as well as options for in-line priming and varnishing.